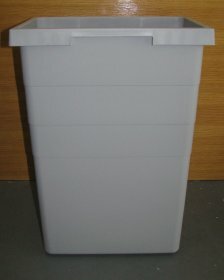 At maxisale.com.au you can find good deals on Ironing Boards, Kitchen Waste Bins, Kitchen Storage and Accessories. Maxisale.com.au online store offer also a range of Kitchen Sinks, Showers and Tapware. Laundry Accessories, Tools and Consumables. We have a wide choicie of good quality Ironig Boards: Wall Mount Ironing Boards, Lateral Ironing Boards, Drawer Mounted Ironing Boards. 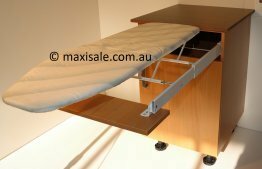 At maxisale.com.au you can as well find Finista Ironing Board to mount for your convenience in your very own wardrobe. The Folding Ironing Board with Step Ladder is a dream come true in every household in Australia. The Great Online Shopping in Australia with Maxisale offers broad selection of genuine Waste Bins at fantastic price deals! Hailo Tandem 30 wast bin, Hailo Tandem S wast bin, Hailo Tarzett Wast Bin, Hideway Compact Wast Bin. Paco, Pico and Tipi Waste Bins are waiting for the perfect homes. Online Shopping Experience with maxisale.com.au is Safe and Secure. Most of all our orders are ship next business day. Maxisale.com.au has great, very positive review score and we work very hard to be Proud Australian Online Store.